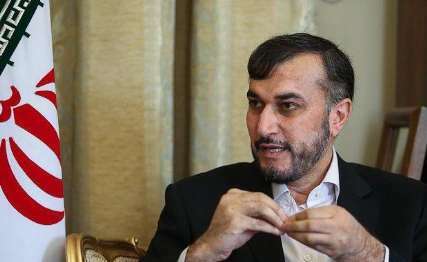 JNN 30 May 2014 Tehran – Saudi Arabia has invited Iran to attend a meeting of Islamic bloc foreign ministers in Jeddah next month, an Iranian official said in comments published Thursday. Deputy Foreign Minister Hossein Amir Abdollahian welcomed the “friendly” gesture by Iran’s regional rival, with which relations have been strained by the Syrian conflict and the fallout from unrest in Bahrain. An exchange of visits by Saudi Foreign Minister Prince Saud al-Faisal and his Iranian counterpart Mohammad Javad Zarif was high on Tehran’s agenda, he told the Etemad newspaper. The two-day meeting of foreign ministers of the Organisation of Islamic Cooperation opens in Jeddah on June 18. Earlier this month, Prince Saud said Zarif had been invited to visit the kingdom in a bid to negotiate better relations after three years of enmity over the war in Syria, in which Iran has backed the Damascus government and Saudi Arabia has supported the rebels. “We will talk with them in the hope that if there are any differences, they will be settled to the satisfaction of both countries,” he told reporters in Riyadh on May 13. Shiite Iran and Wahabi Saudi Arabia have also been at odds over Bahrain, where the Wahabi ruling family received Saudi military support in its suppression of Arab Spring-inspired protests among its Shiite-majority population in 2011. Iranian President Hassan Rouhani said after his election last June that he wanted to reach out to Gulf Arab governments as part of efforts to end his country’s international isolation. This entry was posted in Iran News, Middle East and tagged Deputy Foreign Minister Hossein Amir Abdollahian, iran, Islamic Bloc, Mohammad-Javad Zarif, Organisation of Islamic Cooperation, prince saud, Saudi Arabia. Bookmark the permalink.